Today's VIS image shows a small portion of the immense lava flows that originated from Arsia Mons. 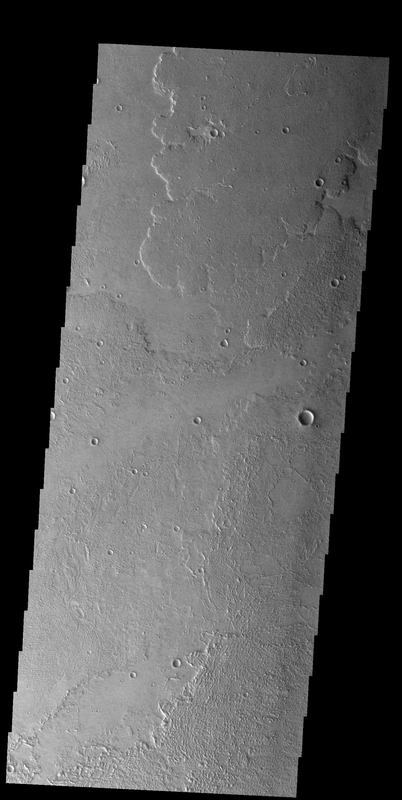 Arsia Mons is the southernmost of the three large aligned volcanoes in the Tharsis region. Arsia Mons' last eruption was 10s of million years ago. The youngest volcano in the region is Olympus Mons, the largest volcano in our solar system.